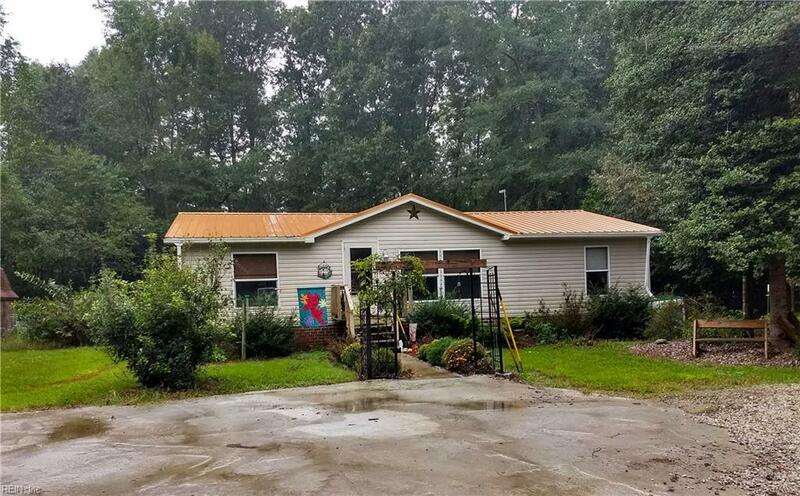 45 Saints Rd, Surry County, VA 23846 (#10220442) :: Abbitt Realty Co. Looking for a hideaway? 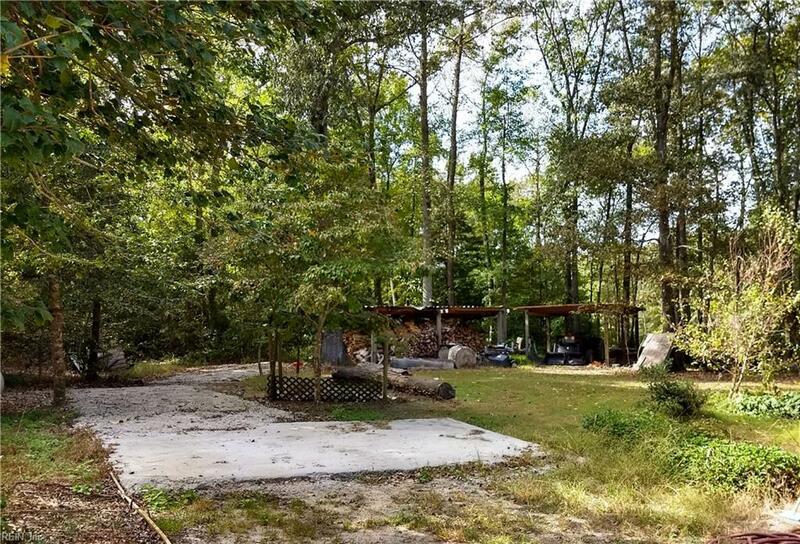 A secluded, wooded setting makes this a perfect retreat! 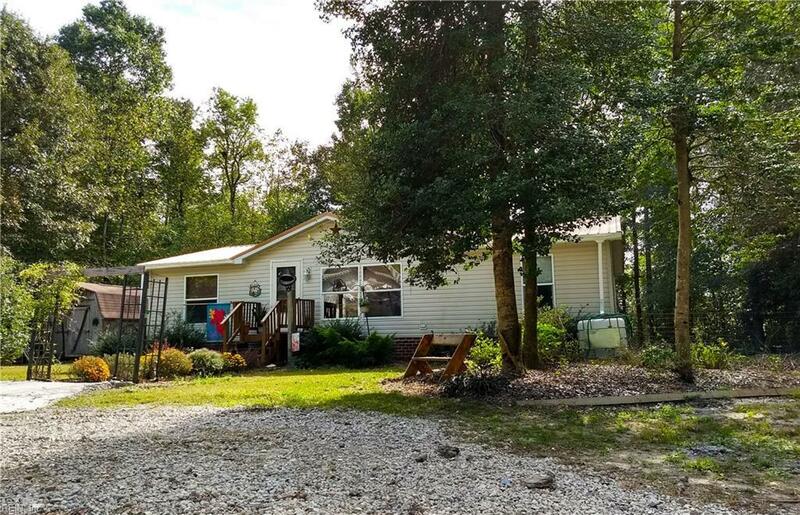 This three bedroom ranch style home sits on 5 acres and has excellent features for country living, including a whole house wood burning furnace tied into the existing HVAC. In addition, a vent free gas fireplace warms the main living area. 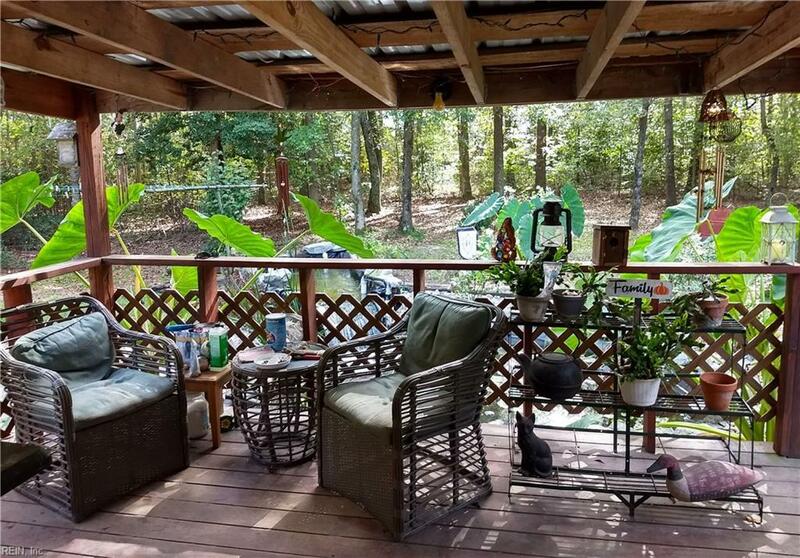 The covered back deck overlooks a lovely koi pond in the fenced in yard. Improvements include fresh paint, a 2-year-old roof, an 18-month-old heat pump and new flooring in the kitchen and living room.Two pole sheds, a tool shed and a large garage/workshop with a concrete floor also convey. The house is serviced by 400 amp service,and the 8-year-old garage/workshop by 200 amp service.The gas fireplace and stove are served by a 325 gallon tank which conveys with the property.Hunting and animals allowed!